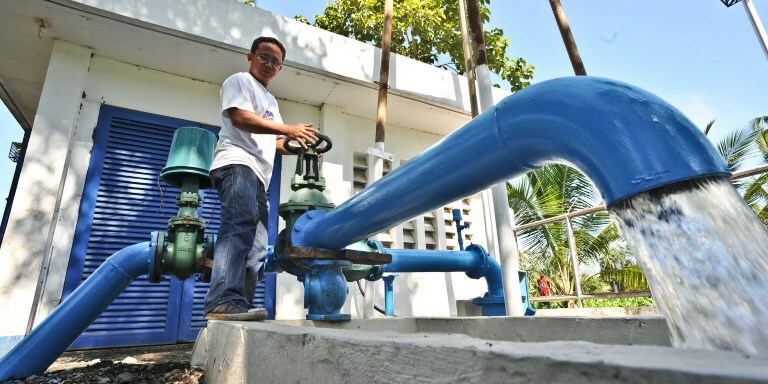 Local governments in the Philippines have undertaken successful PPP projects in the water sector. Photo credit: ADB. How local governments in the Philippines are successfully forging multi-million dollar public-private partnership deals. The Philippine infrastructure gap is prominent at the local government level. In the Philippine Development Plan for 2011-2016, the public-private partnership program was identified as the main mechanism through which infrastructure development can be accelerated and inclusive economic growth can be attained. Lack of technical and financial resources for project preparation, monitoring, and implementation has always been cited and continues to be a major impediment to local government units undertaking public-private partnership projects. At the national level, the success of public-private partnerships involve the President setting the policy direction, cabinet members providing the technical and financial resources and the regulation and clear definition of the role of the private sector in public-private partnerships. Factors for success at the local level include strict adhesion to a build operate transfer law and other relevant laws involving transparency, projects that are viable and attractive enough for the private sector, and a reasonably large number of potential investors with managerial, technical and financial capabilities. Recognizing the need for technical assistance to identify viable partnerships, to help prepare and bid out projects successfully, and in monitoring, implementing and evaluating projects contribute to overall success of public-private partnerships. Success factors include offering low interest rates to make financing attractive to local government units, regular monitoring, and financially viable projects. ADB. 2016. Philippines: Public-Private Partnerships by Local Government Units. Manila. Aziz Haydarov became an ADB Public-Private Partnerships Specialist in 2013 wherein he covered the Philippines, Indonesia, Viet Nam, Lao PDR, and Malaysia. In March 2015, he assumed the position of Infrastructure Economist at ADB's Indonesia Resident Mission where he leads ADB's support on raising the level and quality of public and private infrastructure investments in Indonesia. Prior to joining ADB, he was Country Officer at the World Bank's country office in Tajikistan.